A couple of people have asked me recently how my new “Chameleon” plants that I wrote about here are getting on. So I’ve taken a few photographs and here is an update. Firstly, they weren’t kidding when they said these grow slowly. They have hardly grown at all but appear to have adjusted very happily to their new home. I’m assuming this of course, only because they haven’t died on me! Actually, they are looking very pretty and have started to sprout some new growth in the last three weeks. 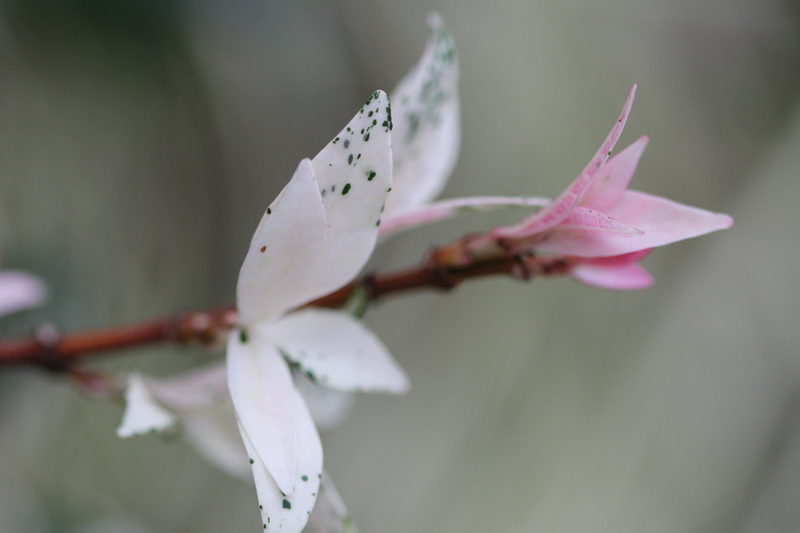 As you can see from the photographs – they have lovely white and pink leaves in and amongst the green. It looks very pretty and provides a lovely contrast against all the green ground cover foliage in that bed. I really love these plants and am expecting them to be really beautiful as they “grow up”. (Their “sister” plants, the standard Trachelospermum Jasminoides, i.e. Star Jasmine, also took a while to settle down after they were first planted, before they started to show any new growth, so it seems these are behaving much as I expected them to). 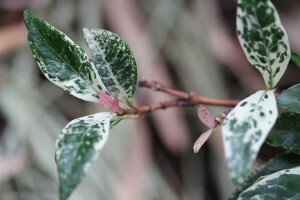 Notes on Trachelospermum Jasminoides “Chameleon” (from RHS): Rare Pink and White Variegation; Unique new evergreen Trachelospermum with bright green, white and pink leaves. Makes an unusual ground cover, or stunning, compact climber. Produces masses of fragrant white flowers in the summer, doing best in semi-shade to shade. thats a very good point – i’ll watch and photograph over time. 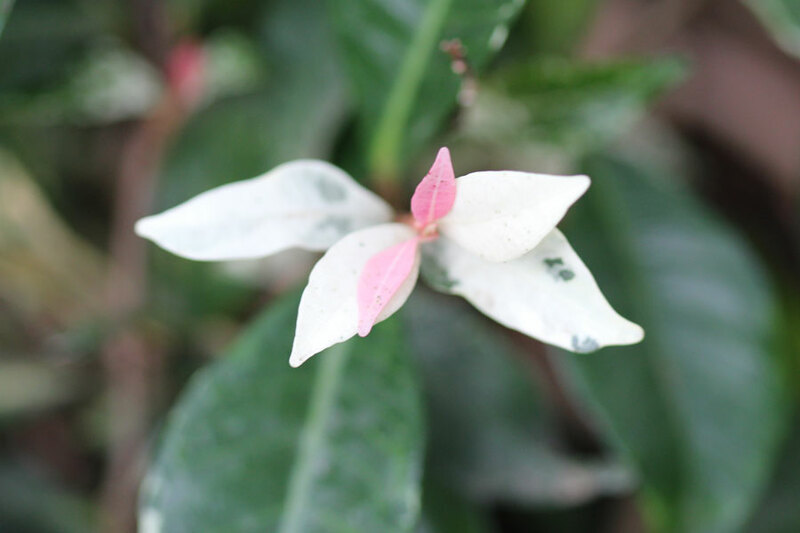 I think they do go green – the plant comes into its own as it grows and has lots of new white and pink ends. At least that is what I am assuming. Great foliage plant. I hope it keeps thriving! This is a really pretty plant. Just like a pretty woman getting dressed for a big event. It takes a lot of time to get so beautiful. Here in Italy we grow something similar: the Trachelospermum asiaticum cv “Tricolor”, that is becoming more and more popular. Hi Dona – I googled that plant and it looks almost exactly like mine. That is very pretty. I really like that, a LOT. This is a beautiful plant! I have the cousin, which took a while to get established. This one is even more beautiful. I haven’t seen it around here; I will have to search!